Bryce Canyon in Winter The hotel is terrific, great rooms, awesome fit outs and great beds, we ejoyed a great breakfast too. Travel is the best cure for boredom. 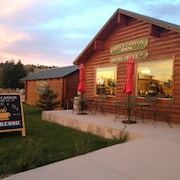 What about booking a trip to Southwestern Utah - Bryce Canyon? lastminute.co.nz has some funky places to crash very close to the action in Bryce Canyon National Park. Currently, we have 11 places to base yourself within a 10-kilometre distance of the centre of Bryce Canyon National Park. 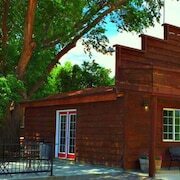 The Best Western Plus Ruby's Inn is the handiest hotel to the middle of Bryce Canyon National Park and is just a quick drive away. 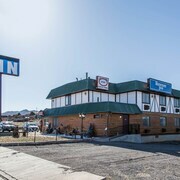 Bryce Canyon is a popular hotel neighbourhood. Bryce Canyon is 2 kilometres from the centre of Bryce Canyon National Park and boasts 4 great places to rest your pretty little head. 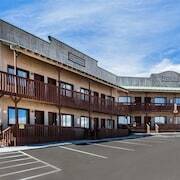 Best Western Plus Bryce Canyon Grand Hotel and Bryce Canyon Resorts are among lastminute.co.nz's top choices. 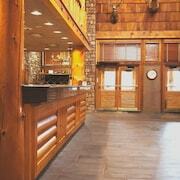 8 kilometres from the centre of Bryce Canyon National Park is the Bryce Country Cabins. Alternatively, the Bryce Pioneer Village is located 8 kilometres away. 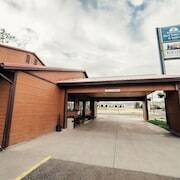 If you'd prefer, you could make a reservation at the Bryce View Lodge or the Americas Best Value Inn & Suites-Bryce Canyon. For visitors who would like to see more of this fabulous part of United States of America, it's recommended staying an extra night or two in Southwestern Utah - Bryce Canyon. Lose yourself amid cliffs and canyons, enjoy an afternoon of snowboarding and skiing, or simply cruise 'round the attractions big and small. Southwestern Utah - Bryce Canyon has something for everyone. Cedar City is 80 kilometres to the west of Bryce Canyon National Park and is where you'll find the Southern Utah University and Adams Shakespearean Theatre. 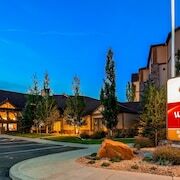 Should you wish to spend a few nights in Cedar City, check out the The Iron Gate Inn and SpringHill Suites by Marriott Cedar City. 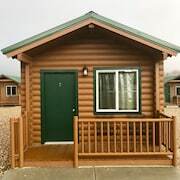 85 kilometres to the southwest of Bryce Canyon National Park you'll also find Springdale, which is home to the La Quinta Inn and Suites at Zion Park/Springdale and Quality Inn At Zion Park. Should you choose to stay in Springdale, don't miss the Tanner Amphitheater and David J West Gallery. Cedar City Regional Airport is the most frequently used airport for flying in and out of Bryce Canyon National Park and is 80 kilometres drive from the heart of town. 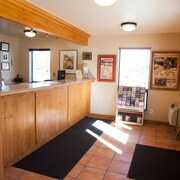 If you would like to stay nearby, try the The Iron Gate Inn or the SpringHill Suites by Marriott Cedar City.